Many bloggers find it really hard to write something which attract people and they will actually READ. It is a good thing to share your feelings and thoughts, but making your visitors to read what you write is an entirely different thing. There are so many copywriting tips which help you boost conversions. 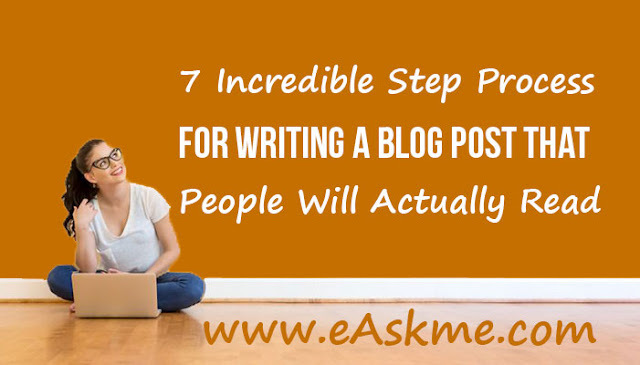 Today I am sharing 7 steps for writing a blog post that people will actually read. Earlier blogs were the place fr teenagers to share their feelings and poetry. With time, Blogging has turned into a valuable tool. Blogging help businesses to share important information with customers and connect with audiences. But this has not been a smooth transition. Even though business blogging has widely adopted blogging as best marketing practice, still many don’t know how to choose the blog topics which is good for business. Solution of this issue is to write on those topics which people like to read about. Prefer writing for your readers than writing for yourself. Find out the problems your readers are facing and try to give them best possible solution on your blog. What do your audience need help with? Now you have topics, so start writing and grow your readership. Usually bloggers always focus on writing content but forget the importance of writing attractive headlines. If you want to attract readers, you have to put efforts into attractive titles. Your post title is the first thing that readers will notice. The best way to write awesome headlines is to write 10-20 headlines and then choose which is best out of them. The lede is the first few sentences of your blog post. It is vital for attracting readers and keeping them interested. Your first few sentences should be engaging and make your readers find out more. If you always start writing important information on very first sentence, chances are that your readers will soon go out of your post. You should write several instructions before writing actual post. This will help you to write your post first and now go back and update lede of old posts. Focus on it as it is an important part of your blogging. Do you love story? I love stories. Actually everybody loves stories. That`s why Hollywood producing blockbusters stories with bad guys, excitement, good guys, conflict and resolution. If you want to be successful, then you should also adopt these same elements into blog posts. This will help you make better shot at getting readers. Val & Rav : A True Love Story that started with "Happy Birthday"
Dense text with no paragraphs, no breaks and no spaces will immediately turn-off readers. Even if you present a greatest idea in massive chunks of text. Believe me, no one will bother to read it. Always make your blog posts easy to read. Do not write paragraphs more than 2-4 sentences and then readers in every paragraph. Usually people do not like to read every single word of a post. Most of them just scan your content and get idea if it is useful for them or not. You should use subheadings to make your readers pick up main points of your article. Headings divides content into digestible segments. It encourages visitors to read. Subheadings also great for SEO. Every great novel leave readers wanting more. Same way your blog post also leave readers wanting more. It take time and lots of work to get readers to your content, so never put everything in few lines, as it make readers to spend less time on your site. Do not pack too much knowledge in single line. End your posts with cliffhanger. Invite your readers to be back for next post. You can focus your post on a smaller topic and invite visitors to read related content. Add a call to action and invite readers to sign up for future updates. Building email list will help you to easily interact with readers. So these are the The 7 Incredible Step Process For Writing a Blog Post That People Will Actually Read. 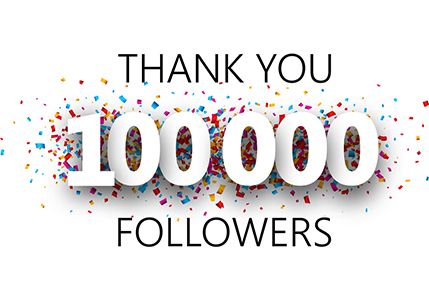 Thousands of new blogs are launching every day. It is critical to make content stand out. If you follow these 7 recommendations, you will improve your content and it will be read. What do you do to make sure blog posts are read? Share your suggestion in the comments!